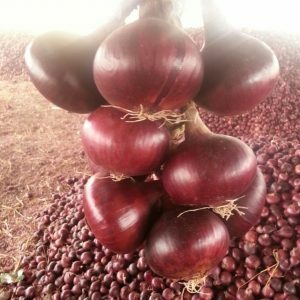 The Red Onion is one of the important product in Vege Land Company, We are well—Known for Exporting Red Onions Organic and Conventional. Vege Land Have Farms in Delta – Ismailia its area is 80 Hectare. The Harvest Season Starts on 15-4 lasts until the 30-7. The Red Onion Is One Sort Italy. The Red Onion Packing is Big Bags 1200 kg or Sacks 10 kg. We Can Provide you with sizes 40/60 , 60/80 , 50/70 , 80/100.